As widely reported, Catholic Bishop Thaddeus Ma Daqin has not been publicly seen since July 7, the day he was ordained auxiliary bishop of Shanghai and the day when he dissented from state religious policy. Catholic sources report that the 44-year-old Bishop Ma is now being detained under a form of house arrest, cynically described as a "retreat" by state religious authorities. In this present moment, in this place, we have to choose a way that will serve God with greater glory. . . . In the light of the teaching of Our Mother Church, as I now serve as a bishop, I should focus on the pastoral work and evangelization. It is inconvenient for me to take on certain responsibilities. Therefore, from this day of consecration, I will no longer be convenient to be a member of the Patriotic Association. To openly renounce the CPA is rarely heard of these days. It prompted an emotional response. The Catholic Asia News reported that this declaration brought prolonged applause and tears among many in attendance, which included over 40 Chinese priests and bishops. It also brought state reprisals. 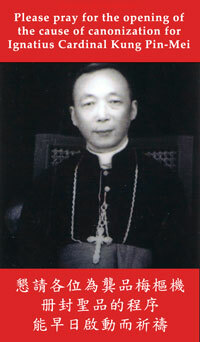 Father Bernardo Cervellera, a veteran journalist for the Catholic press, reports that the state is now retaliating against Bishop Ma: "The Religious Affairs Bureau [of the Chinese government] did not like this perfectly aimed blow and has confined him to house arrest in the Sheshan seminary, for a forced period of 'rest.'" In other words, the state has condemned Bishop Ma to indefinite detention without charge or trial because he dared to exercise his constitutionally and internationally recognized right to religious freedom. Beijing has done the same to other religious figures who defy state supervision and control. Because they have an internal following and are internationally known, they are not restrained in jails but are imprisoned nonetheless in houses, hospitals, homes for the elderly and the like, where they are sealed off from the public, forever. These include other Catholic leaders, such as the long "disappeared" Bishop Su Zhimin and Bishop Shi Enxiang, both of Hebei province, as well as other religious figures, notably the young Gedhun Choekyi Nyima, who is recognized to be the eleventh Panchen Lama by Tibetan Buddhism's Dalai Lama and is now beginning his 17th year in state-enforced captivity. Why would a Catholic bishop view the CPA as a religious impediment? Among other things, it prohibits Catholics from criticizing the government's one-child policy. This is the brutal policy that drew international headlines throughout the spring, first with the case of the dissident, blind attorney Chen Guangcheng, who opposed the forced-abortion policy, and, consequently, was held under house arrest until his daring escape to the United States in May. Then, in June, there were the shocking Internet photos that went viral of 23-year-old Feng Jinmen, lying on a hospital bed with her blood-covered baby, reportedly killed by chemical injection at seven months' gestation, because her family could not afford the fine for having a second child. There exist many other fundamental differences between Rome and Beijing, as well. The Vatican has patiently maintained a dialogue with China and worked hard to keep the Catholic community united, both with the Holy See and with each other. As the United States Commission on International Religious Freedom (USCIRF) reported, "an estimated 90 percent of Catholic Patriotic Association (CPA) bishops and priests are secretly ordained by the Vatican and, in many provinces, CPA and unregistered Catholic clergy and congregations work closely together." But, the Chinese government has repeatedly flouted the 2007 agreement it reached with the Holy See regarding episcopal appointments. 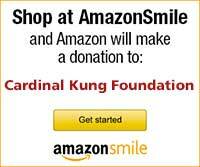 Commenting on this last year, Hong Kong's Cardinal Joseph Zen told a group of us, "Our bishops are being humiliated." The "missing" prelate is now being heralded as a religious-freedom hero by some prominent voices within the Chinese Catholic community. On July 17, in Hong Kong's St. Margaret's Church, the redoubtable Cardinal Zen led a liturgical mass dedicated to Bishop Ma of some 800 Chinese faithful. — Nina Shea is director of the Hudson Institute's Center for Religious Freedom and co-author with Paul Marshall and Lela Gilbert of the forthcoming book Persecuted: The Global Assault on Christians (Thomas Nelson Publishers, 2013).